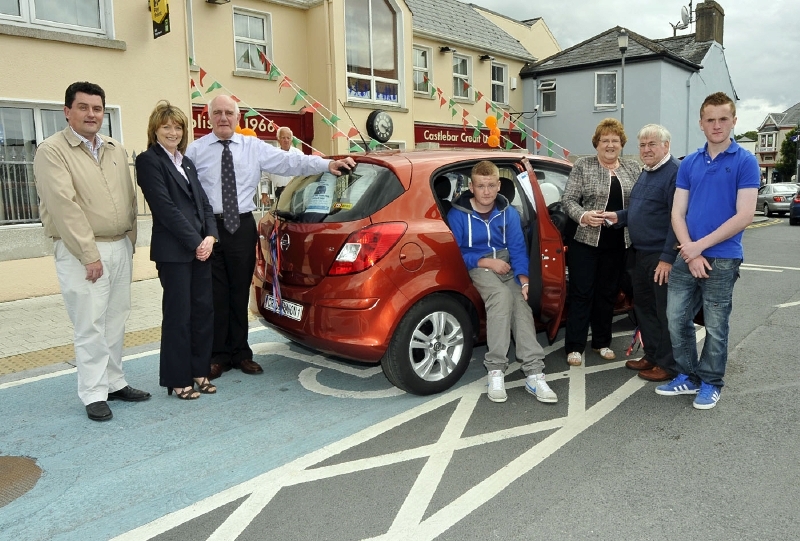 Pictured outside the Castlebar Credit Union Office, members draw winner Phyllis Loftus who received the keys of a Opel Corsa SC 1.2 5 door from Jack Loftus, Castlebar Credit Union. l-r ; Cathal Duffy, Opel Dealer, Anne King, Credit Union, Alf Maloney, Sales Manager Cathal Duffy's, Paul Loftus, Jack Loftus and Martin Loftus. Photo © Ken Wright Photography 2013.